Chiming perfectly with the increasing noise about plastic waste, 24th – 30th September 2018 is Recycle Week, organised by WRAP UK. Now in its 15th year, the week is focused on encouraging everyone to recycle more, particularly around the home and with a timely emphasis this year on plastics. One pioneering local business has launched a new initiative that offers an easy way to get involved, and not just for Recycle Week. 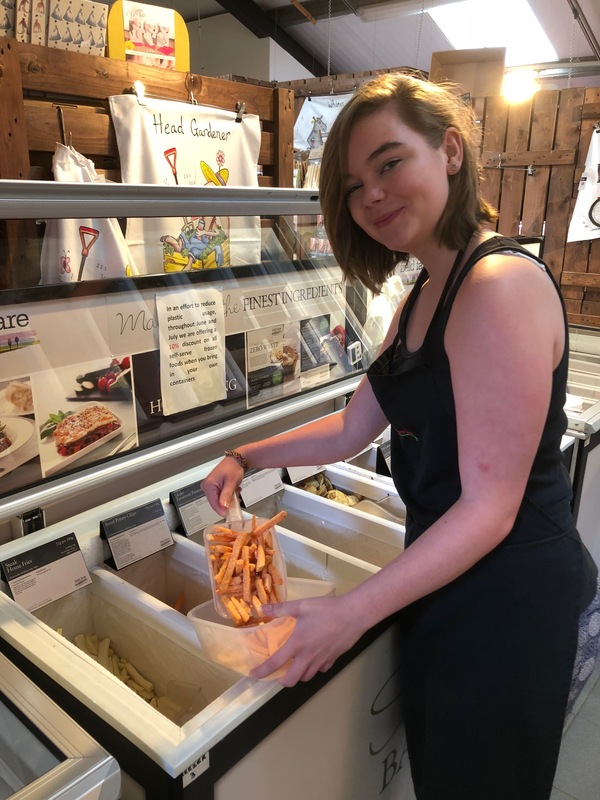 Thornhill Farm Shop, in conjunction with Field Fare frozen foods, are encouraging their customers to bring their own tubs or to use re-useable containers available at the shop, for their Field Fare loose serve frozen products, which include A Grade fresh frozen fruit and veg, fish and baked goods. David Cross, Thornhill Farm shop’s trailblazing manager, was one of the first three shops of over 400 stockists to pick up on the premium brand’s nationwide campaign, encouraging their stockists to take the BYO next step. And it’s not just plastic waste that is reduced here. Frozen goods already come laden with eco-credentials. Freezing is nature’s preservative, for one. It reduces packaging, meaning more compact transportation which reduces food miles. 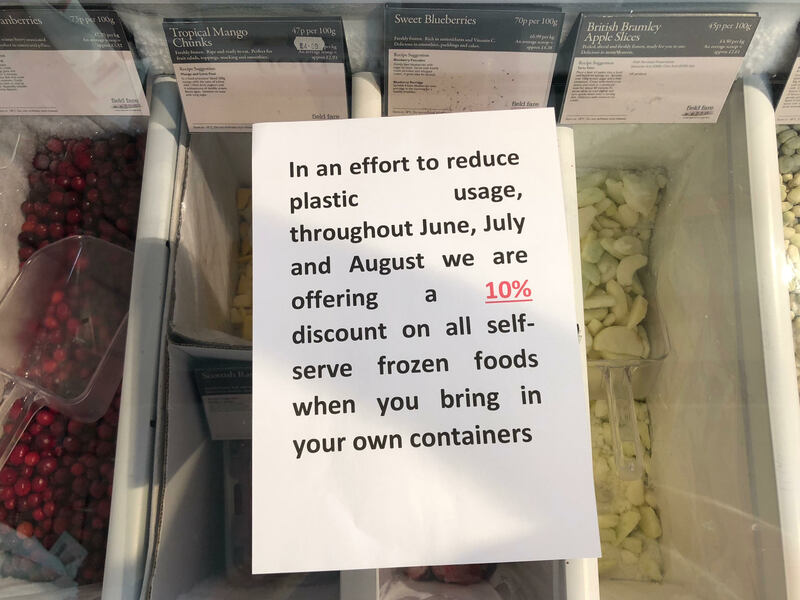 While year round seasonality cuts down air miles and the lengthened shelf life and precise scoop-your-own volumes reduce food waste; so it’s already an environmentally sound shopping decision. 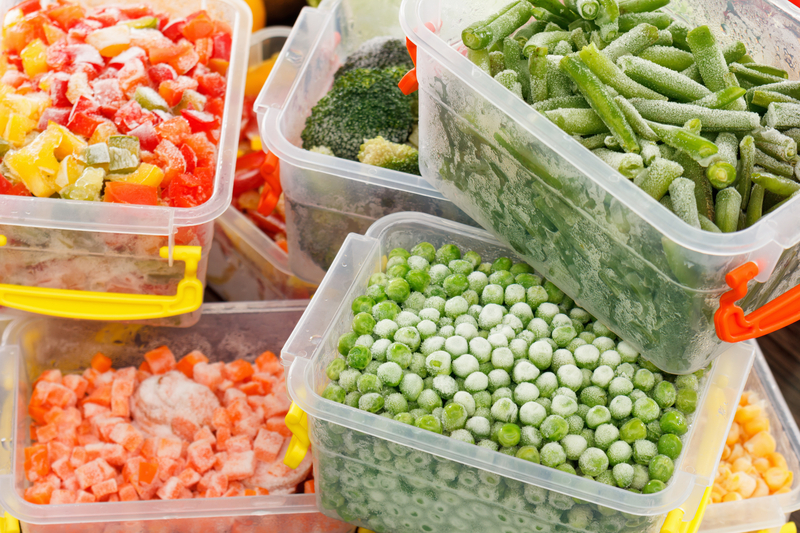 In fact, a 2018 research study across 20 families by Manchester’s Metropolitan University showed a week of eating frozen to reduce waste by 47.48% at a cost saving of £37.62. Without doubt, not reusing our plastics will become increasingly socially unacceptable, from take-out coffee cups to pointless packaging. Thornhills are offering a simple way to start making those critical changes.